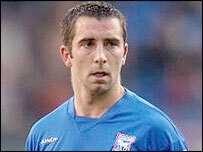 Doncaster Rovers have swooped to sign experienced midfielder Kevin Horlock after his release by Ipswich. Northern Ireland international Horlock, 33, has signed a two-year contract at Belle Vue. He spent a successful loan spell at Doncaster last season before returning to Ipswich to consider his options. Doncaster chairman John Ryan the club's website: "This is a great signing for us, he will add quality with his calm, experienced head." In a career that started as a trainee at West Ham, Horlock has also played for Swindon, Manchester City, a return to West Ham, and Ipswich. Horlock has also won 32 caps for Northern Ireland.